Manchester United attacker Jesse Lingard finished off a emphatic debut victory for Ole Gunnar Solskjaer in style, Lingard was sensational for the Red Devils today. 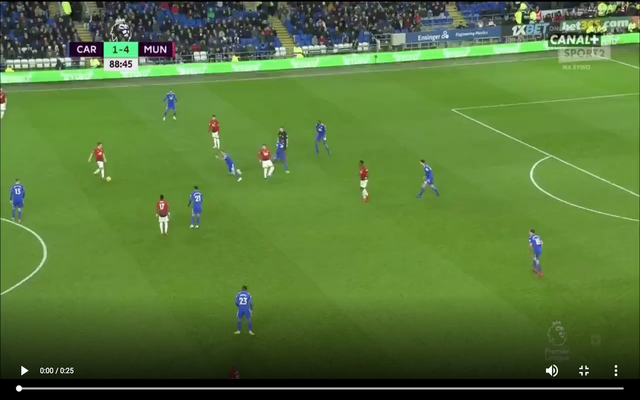 In 89th minute of the match, Paul Pogba played an inch-perfect through ball into Lingard. Lingard as everyone knows is all about style and style and more style. The England international knocked the ball past Cardiff defender Sean Morrison before rounding goalkeeper Neil Etheridge and slotting the ball into the back of the net. Lingard didn’t stop there, the attacker’s goal celebration was also on trend. Lingard pulled off the trending ‘gun lean’ dance to complete United’s rout. Solskjaer managed to do something that neither Jose Mourinho, David Moyes or Louis van Gaal could do during their reigns as United bosses. The Red Devils scored five in a Premier League game for the first time since Sir Alex Ferguson’s last game in charge. United drew 5-5 with West Brom at The Hawthorns in Fergie’s last game in charge and to this day that match is regarded as one of the best ever in Premier League history.